The number of car accidents is expected to climb by more than a third as a result of the clocks going back. 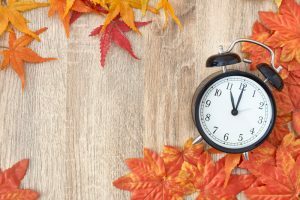 According to insurethebox, accident rates among motorists driving between 5pm and 8pm in the weeks directly following the October clock change increase by 34 per cent. Data collected by the insurance provider since 2014 shows that male drivers are likely to be involved in a collision after the clock change, with a 37 per cent increase in accidents during the home time rush. In regards to female drivers, this increase drops to 30 per cent. Faster speeds make accidents more likely at any time of the day, but young drivers who speed at night between midnight and 7am are three times more likely to have an accident than those who speed during the day. Every part of the UK sees a rise in accidents of at least 25 per cent in those three after-office hours, but drivers in Scotland and the north of England should be extra cautious. These northern areas report the highest increase in accidents between the hours of 5pm and 8pm after the clock change. In Scotland particularly, accident rates spike by 50 per cent, and 49 per cent in Lancashire and Yorkshire. A spokesperson for insurethebox said newly qualified drivers were especially at risk due to the lower visibility and wet weather. “For many young drivers, the evenings after the clock change will be their first experience of driving in the dark, coping with different conditions like reduced visibility,” they said.